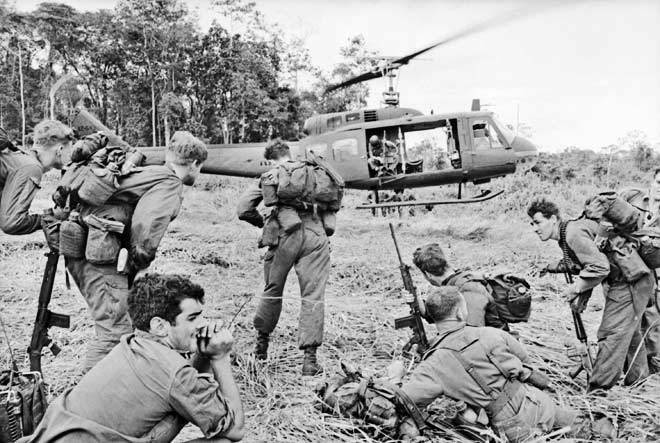 Australia's involvement in the Vietnam War will always be remembered for controversy and the divisions it caused in the community during the late 1960s and early 1970s. 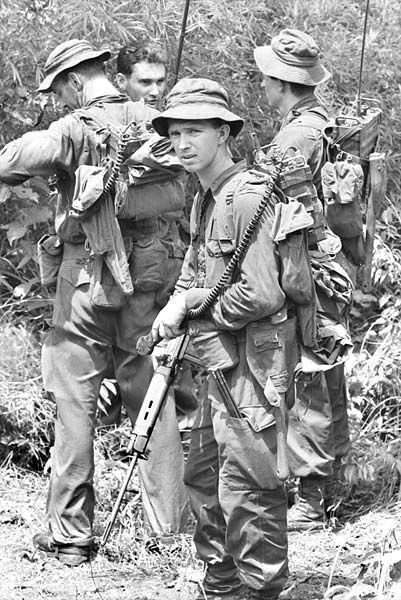 Vietnam was the only conflict in which Australia has deployed conscripted service personnel on active service overseas. And for the first time Australian forces did not return victorious. Militarily, Australia entered the war without defining a clear strategy, defining what success looked like or the terms under which it would eventually extricate itself. All of these are 'contrary indicators' for a successful military campaign. This and dissatisfaction with the motives behind the conflict, fanned domestic opposition to the war which mounted steadily in line with what was happening in the USA, the main external protaganist in the confict. And like the USA, in Australia, returning veterans were villified in a manner not seen before or, thankfully, since then. That aspect of their experience scarred many of the veterans for life and defined them within their generation. Vietnam began as a post-colonial power struggle between the Viet Minh under Ho Chi Minh, and the French colonial 'masters' of what was previously known as Tonkin in the far north of Indo China. The French had defined Vietnam as comprising three geographic regions; Tonkin in the north, the former Champa kingdom in the centre and Cochinchine in the south with very strong links to the former Khmer Kingdom, all with varying mixes of ethnic groups. It was another leg of the Cold War between the Sino Soviet bloc and the Western Allies that followed the end of WW 2. After the French defeat at the battle of Dien Bien Phu in 1954, Vietnam was split in two - the communist controlled north and a 'democratic' government in the south. The USA became alarmed at the potential for the spread of communism and began resourcing the South Vietnamese government at a rapidly escalating rate. Ho Chi Minh meanwhile was determined to pursue his vision of a 'reunified' Vietnam. 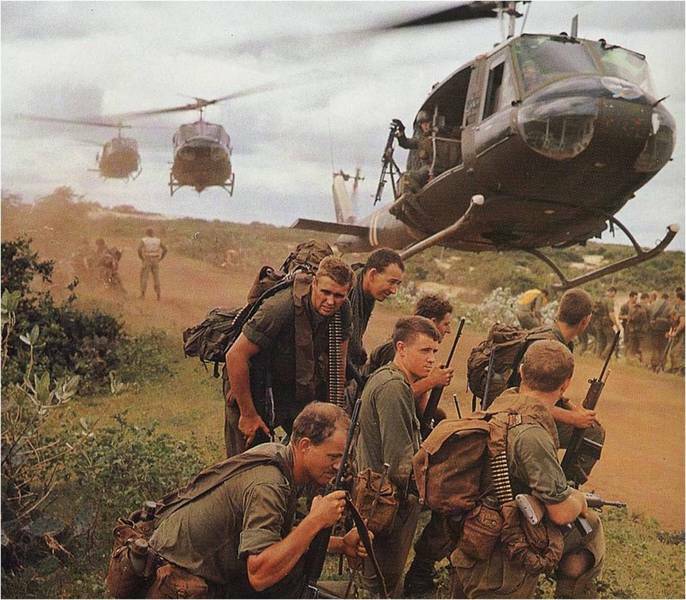 Australia's involvment in Vietnam began with the establishment and deployment of the Australian Army Training Team, Vietnam, or AATTV. This unit was to become the most highly decorated Australian element during the War, and remained deployed throughout the conflict. 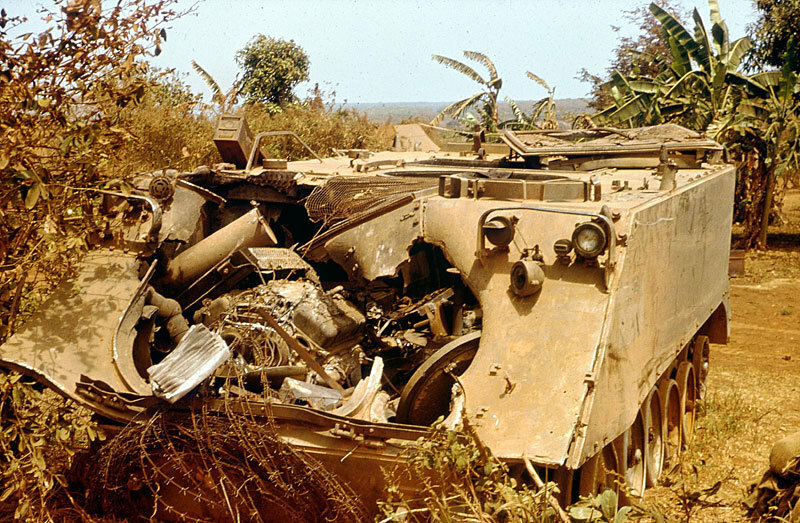 The AATTV comprised seasoned and experienced officers and non-commissioned officers who served as advisers to the Army of the Republic of Viet Nam (ARVN) and irregular forces supported by the US. Australia's motivation for involvement was largely out of allegiance to the United States, and general concerns about the spread of communism following on from our engagement in Malaya. 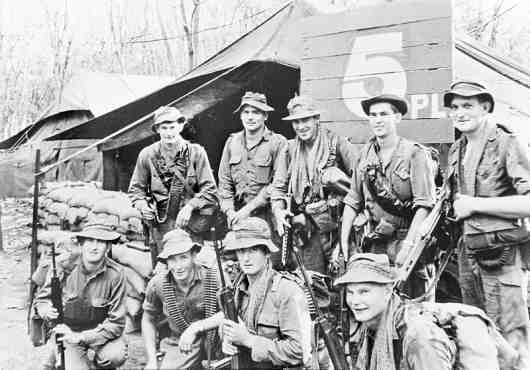 Australia's commitment expanded in 1965 to a Battalion Group (1RAR) attached under command of a US Army Division. This subsequently increased to comprise a Task Force which peaked at three Battalion strength with supporting Arms and Services. The Vietnam War saw the introduction of a non-universal conscription system driven by a ballot which determined which young men were to be conscripted for two years' service. The Vietnam War was the first conflict in which Australia was involved to see large scale protests against our involvement. With a background in successful counter insurgency operations and a jungle warfare tradition dating back to WW 2, the Australian Task Force took a different approach to taking the war to the enemy than its US allies. It did however adopt some of the new techniques most notably the widespread use of helicopters, particularly the ubiquitous Bell UH1 Iroquois "Huey" which became an icon of the conflict.